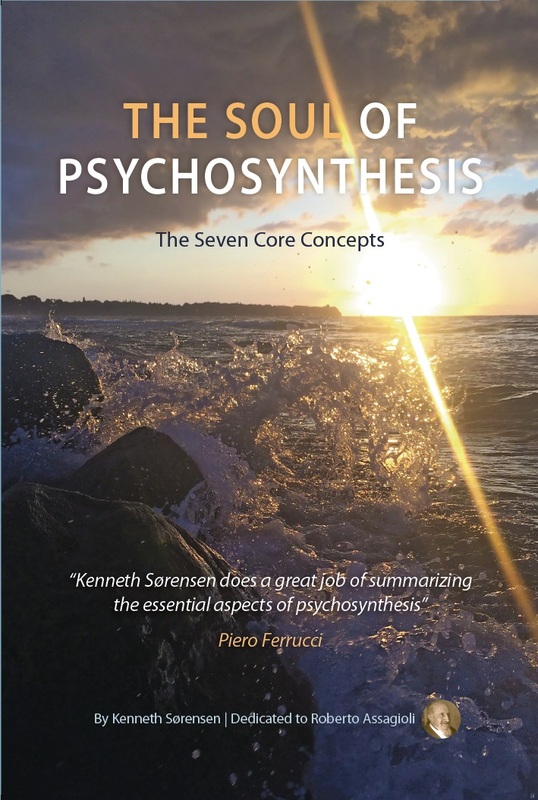 This article is chapter 2 from my book: The soul of psychosynthesis – the seven core concepts. Available at Amazon etc. Assagioli presented his Egg Diagram for the first time in 1934 (see below) in an article in the Hibbert Journal with the title ‘Psicoanalisi e Psicosintesi’. In this article, he presented his theory of the personality based on the Egg Diagram, and the text was later included in his first book: ‘Psychosynthesis – A Collection of Basic Writings’ . 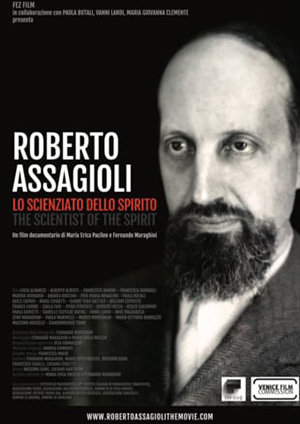 Assagioli was not the first to use the term “Psychosynthesis”. He cites numerous authors who also used it. In his argument with what he saw as the “error of one-sidedness” in Freud’s theories, C. G. Jung wrote: “If there is a ‘Psychoanalysis’, then there must also be a ‘Psychosynthesis’, which creates future events according to the same laws.”  Nevertheless, Assagioli believed his application of the term was more comprehensive, definitive and technical than other writers. When we speak of levels of consciousness, we are referring to physical, emotional, mental and intuitive levels consisting of different types of energies of which we can become conscious. We experience these energies when we sense, feel, think and have intuitive flashes- and what we are conscious of represents only the tip of the iceberg, as Freud discovered. Assagioli divides his diagram into three levels of consciousness, in which we participate more or less, depending on our general level of awareness and where our awareness is directed at any given time. What resides in the part of the diagram given to the ‘unconscious’ is not necessarily itself ‘unconscious, meaning not available to the conscious mind. We have an on-going connection with a lot of the energies and needs within these areas. This is particularly relevant for level 1 and 2. According to Assagioli: “The basic and normal personal needs concern the lower and middle psychological life; conscious or unconscious.” (1974, p. 110) We will return to this point later. At the bottom of the diagram (1) we find the Lower Unconscious. I prefer to call this the Basic Unconscious to avoid any negative associations connected to the word “lower”. This area corresponds to what psychoanalysts call the unconscious. Physical well-being, discomfort, hunger, sexual needs, desire, aggression, and many pleasant and unpleasant urges all flow up from the lower unconscious and into the field of consciousness affecting the behaviour of the self. Many of these drives are blind and instinctive. They control our habits such as, sleep, eating, and a wide range of physiological processes. Here we store repressed and traumatized experiences from childhood. Certain circumstances re-activate these memories and they emerge as fear, anxiety, shame, pain and various inexplicable inhibitions. These energies are egocentric. They ensure that our basic survival, protection and security needs are met. These are physical drives such as basic instincts, emotions and fantasies related to early childhood. This level of consciousness therefore represents the consciousness of our inner child and other basic patterns – for good or ill. The Lower Unconscious is incredible vital, and it is essential for us to draw on its vitality as our lives unfold. Through it we create intimate relationships. It is the source of our spontaneity and playfulness. It enables us to face the world confidently, and gives us the energy to fight for what we need. The Lower Unconscious therefore is the foundation upon which the personality rests. In our Personal Psychosynthesis we explore this level of consciousness and learn how to develop and integrate its valuable resources in our lives. Insofar as the self is identified with energies of this region, it will be dominated by its requirements, needs and values. Someone whose sole focus is on material security and the safety of the family will draw his or her identity mainly from the Lower Unconscious. The contents of the Middle Unconscious (2) are much like those of the waking consciousness of a relatively rational and educated human being, young or adult. Here many of our psychological processes are being organised ‘behind the scenes’ before being made available to consciousness. As Assagioli writes, they are “those things that are latent, quiescent: or active in our personality but we are not aware of at the moment.” (Assagioli, Miller, 1973) This is the region of the Pre-Conscious. In the Middle Unconscious we find energies associated with our relationships, status and self-esteem. These energies are connected to our higher emotions and rational beliefs about life, such as our political, religious and social attitudes. Here we find the more or less conscious values we have adopted in life as a result of our education and socialisation. Here we store our conscious self-image and establish an identity, which then enable our self-expression and the development of boundaries. We discover here our need for friendship, belonging and for finding our place in a group and society. Through these we develop our creativity and talents supporting our life path. Here too we find inhibitions, fear and frustrations stemming from challenges and trauma of our teens, a time when we develop our self-conscious personality and become adults. These affect our sense of identity and self-worth, and consequently our relationship to love, work and status. When the self is identified with this region and has its focus here, the Lower Unconscious is nevertheless active. But unless you have unresolved issues around safety and security, it recedes into background as a focus for identity. If there are such issues, when they are activated, we become fixated here until they are resolved. Our fixations cause “childish” behaviour because they represent unresolved needs from childhood requiring attention. The integration of these energies makes us more reflective and self-aware. In the upper part of the Middle Unconscious we find more holistic mental energies. These trigger the urge to self-actualize. This is the culmination of the personality, the inspiration to create a truly successful and active life according to the existing values. With the uppermost level of the diagram, the Higher Unconscious or Superconscious (3), we reach the realm of the transpersonal. ‘Transpersonal’ means ‘beyond the personal’. Here experiences and insights expand our consciousness beyond our individual selves and towards the universal, Consciousness become holistic. We feel ourselves to be an integral part of a whole which is greater than our limited personalities. An experience of a transpersonal love can dissolve all boundaries and make us feel at one with humanity. Or we experience deep insight into the nature of existence. From this region we receive inspiration for ideas such as Human Rights and feel the need for a universal ethic. Major scientific discoveries, artistic inspirations or the heroic call to sacrifice one’s life to a great cause begin at this level of consciousness. Through the Superconscious we connect with something greater than ourselves, and feel a yearning for deeper meaning and purpose in our lives. When the self rises to the Superconscious, say in mediation, our sense of identity expands. Yet, influences and inspiration from the Superconscious can also descend and inform our personal conscious, without expanding our identity. We will in chapter nine on the Superconscious explore this difference. The Superconscious remains unconscious only for as long as it remains unexplored. Once we consciously seek to connect with it, it becomes just as available to us as the Lower and Middle Unconscious. It is important to remember that Superconscious energies can be repressed. This happens when the self is too identified with personal needs and values. We need to distinguish between the pre-rational union of mother and child that occurs in the Lower Unconscious, and the trans-rational union with Superconscious energies. These are often confused, and seen as equally spiritual experiences. But there is a difference. The child is dependent, ego-centric and solely focused on its own needs. What characterizes spirituality however, is the ability to care for someone or something other than ourselves and our loved ones. Transpersonal energies inform a universal ethic. They open up to the universal whilst retaining individual cognitive structures and values. A child is obviously not bad for being ego-centric; this is natural at this stage of our development. We should also keep in mind the difference between the crowd consciousness that an enthusiastic fan might feel during a football match (ethno-centric), and the unitive consciousness we can experience in group meditation, when we feel at one with humanity (world-centric). The Collective Unconscious (4), which is ranging from the Lower Unconscious to the Superconscious, represents our surrounding psychological environment within. We are in constant telepathic contact with the world outside ourselves and are influenced by everything humanity has experienced and is experiencing. Through psychotherapeutic work or in meditation, we may discover that what we believed to be energies of our personal consciousness, were in fact collective energies. For example, we can identify certain behaviour and personality traits that have been in our family for generations. We may also find that thoughts and feelings in our social environment impact us from afar. Love, hate, fear and trust are impersonal energies flowing among us, yet in many ways we give them a personal flavour when we identify with them. We have already discussed ‘the self’, so I will here only outline a few key points. In the centre (5) of the diagram we find the self or the observer. This is the center of the personality; the subject, and presence of the observer. The observer is a point of pure self-awareness and will, but around it extends a field of consciousness (6). This is the circular luminous field of awareness where we experience the content of consciousness. What we think, feel or sense emerges here from the four levels of the unconscious discussed earlier. Intuitions are coming to us directly from the soul (8). (see illustration) Here the observer reflects and interprets all the incoming energies through the psychological functions. Here we recognise and identify what we think, feel and sense at any given time. We can then act on the content or not; if we don’t maintain an active focus, it will often disappear. Most of us are identified with the contents of consciousness. We think we are our thoughts and feelings. We have not yet recognized the difference between consciousness and its content; that is to say, we have not yet dis-identified with the contents of our consciousness. This is a fact anyone can experience by simply trying to observe the content of their consciousness. Clearly, we are not completely separate from our thoughts and feelings, yet we are something different from them. Reaching this level of insight is the first step towards a Personal Psychosynthesis. It establishes a stable center of observation from which we can learn to master the myriad of energies from the personality and the soul. One of Assagioli’s key statements is: “We are dominated by everything with which our self becomes identified. We can dominate and control everything from which we dis-identify ourselves”. When we say “I’m angry,” or “I’m sad”, we identify with the feeling. If we instead say: “a wave of anger is affecting me”, then we distinguish between the feeling and the observer. Then we can decide what we want to do with the feeling and this will give us a sense of ownership and responsibility. The experience of the self as a center of pure self-awareness and will is psychologically vitally important and should be developed. It enables presence, integrity and, above all, an authentic identity and sense of self. We should point out that the self can project its consciousness into the various levels of the unconscious (see diagram). It is not a passive receiver of impulses; it explores and transforms the energies it encounters. Psychosynthesis offers many methods and techniques of doing this. 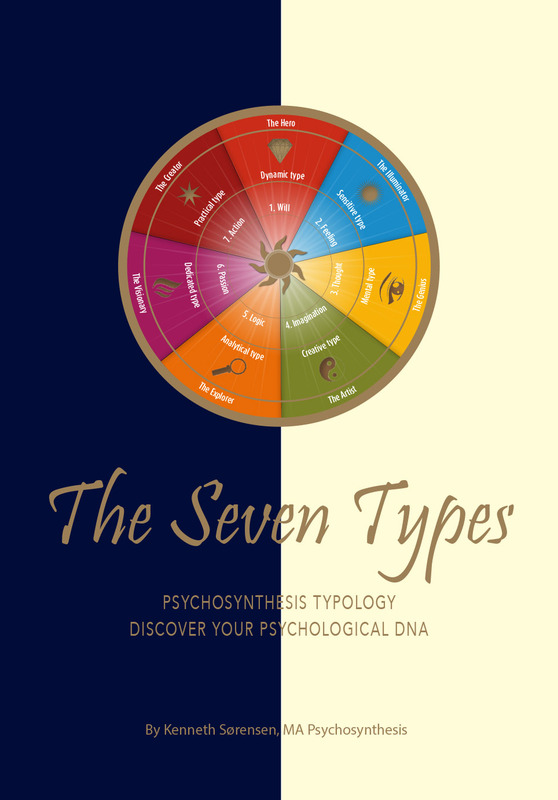 Before moving on to the Transpersonal Self, it may be good to see how some popular ideas in psychology relate to Psychosynthesis. This can help us see how Assagioli’s Psychosynthesis represent an entirely new way of thinking. The following is my clarification. According Freud and others, the ego can be understood as a structure in the personality that provides a sense of identity organized around rational values. These values usually echo the dominant values of one’s culture and society. The ego functions as an ‘organizing center’ and the identity the ego provides consist of the social roles with which the individual is identified, the role of mother, wife and or professional occupation. In this sense the ego is something different from Assagioli’s self. The ego can also be defined more broadly as the mind’s need to limit and isolate itself through “contraction “. It is in the nature of the mind to separate itself from its surroundings. This development is necessary for self-awareness, but it forms a great obstacle for the growth of soul consciousness, where identity is individualised unity. Our ego will remain in control as long as we are identified with the mind. The ego develops through external norms and values, yet the “I” can be something other than the ego. The I can be a self-conscious identity consisting of a wide range of values and perspectives and in some evolved cases coming from the Superconscious. The I is the identity we create on whatever level of consciousness we inhabit based on the images of self with which we are at any given time identified. If we are identified with our ego, the ego is the I, but if we are in contact with the Superconscious, then the I will be far more individuated, free and humanistic. There are many I’s, from body consciousness to soul consciousness. Ken Wilber refers to “the Actual Self” (the “authentic” or healthily-integrated self at any particular stage of development) in his psychology. The Superego is the collection of moral laws we learned and internalised during childhood. These laws are culturally defined and direct the socialisation of a child. The Superego will remain in control, as long as the individual needs the security and limiting safety it provides. The personality is the collective expression of the physical body, emotions and mind and everything they contain. The personality only comes into being when we discover we have a will, and able to focus it on deliberately selected target. Until then we are little more than a series of more or less self-conscious roles adapted because of various social circumstances. Personality requires a certain level of development and maturity; because of this, not everyone has one in the technical sense of the word. Assagioli’s Personal Psychosynthesis refers to this integration of the personality. As can be seen, none of the above definitions are the same as Assagioli’s self, the level of pure self-consciousness and will in the center of the personality. We are now at the very source of the self and consciousness of man. I prefer to call this source “soul” (8) because it reminds us that we are living divine beings. Assagioli referred to it primarily as “the Transpersonal Self” in the keeping with the scientific approach that was so important to him. We have already talked about the soul in Chapter I, so let me here elaborate on the key aspects. As mentioned we are not talking about two selves, but consciousness of the self can be experienced at two different levels. On the personal levels we can experience the self as pure self-awareness, but nevertheless feel separated from the people around us. In the world of the Superconscious our experience of self can expand immensely, and we can become part of a unified consciousness without losing our individual purpose. Thousands of people have described how they through meditation or spontaneous experiences have entered an identity far greater than their usual limited self-awareness. This consciousness is not limited by any personal identity; it is an impersonal being, its universal and represents the essence of all human beings. Assagioli frequently refers to Christianity and Hinduism. He quotes St. Augustine: “When the soul loves something it becomes like unto it; if it should love terrestrial things it becomes terrestrial, but if it should love God (we may ask) does it not become God?”(1975, p.44) He also emphasized the duality between the personal self and the soul, and between the soul and the universal Self (God). He warned against confusing the various levels of self-awareness, that is, to believe one is God or the soul before one has realized and demonstrated this level of consciousness. This is the same as confusing an acorn with an oak tree. Potential is not the same as a fully realized truth. Assagioli places the Transpersonal Self at the top of the Egg Diagram to show the direction of the journey and the expansion of consciousness necessary to merge the personal with the transpersonal. Assagioli writes: “The disregard of this vital distinction leads to absurd and dangerous consequences.” (1975, p. 45) This is the danger of ego inflation. From this perspective removing the star from the top of the diagram, as some writers have done, is not appropriate. 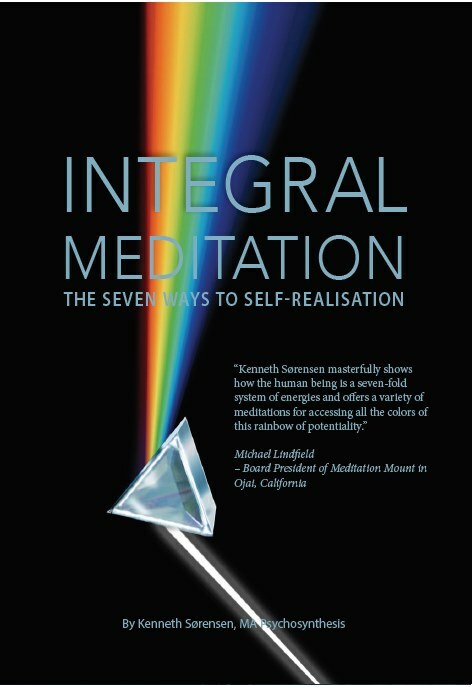 Soul connects with the self via the illuminated channel that functions as a bridge between the two levels of consciousness (7). The soul creates the Bridge of Consciousness by projecting part of its consciousness into the world of the personality. Assagioli writes: “The ego or the conscious ”I”, is an emanation or projection of the Self.” (1967b). This is an example of evolutionary panentheism, for as the soul is an emanation (outflow) of the Universal Self (God), so is the personal self. This link has also been called the silent path, because it is in silence that higher levels of consciousness are contacted and recognized. In this sense, we can say that the soul’s higher consciousness is reflected in the brain. It remains a pale reflection until the spiritual process begins, and the soul increasingly manifests itself through the brain and the physical nervous system. We do not experience consciousness as located in some particular spot in the brain. We experience consciousness through the mind and the mind is not limited to the physical body. Imagine a luminous presence just above your head, an image familiar to Eastern Spiritual writings. This is the true man, the immortal soul seeking to manifest the Superconscious through the forces of the Middle and Lower Unconscious. Here the personal self facilitates the collaboration between the soul and the Lower and Middle Unconscious. There’s no essential difference between the consciousness of the soul and the self. 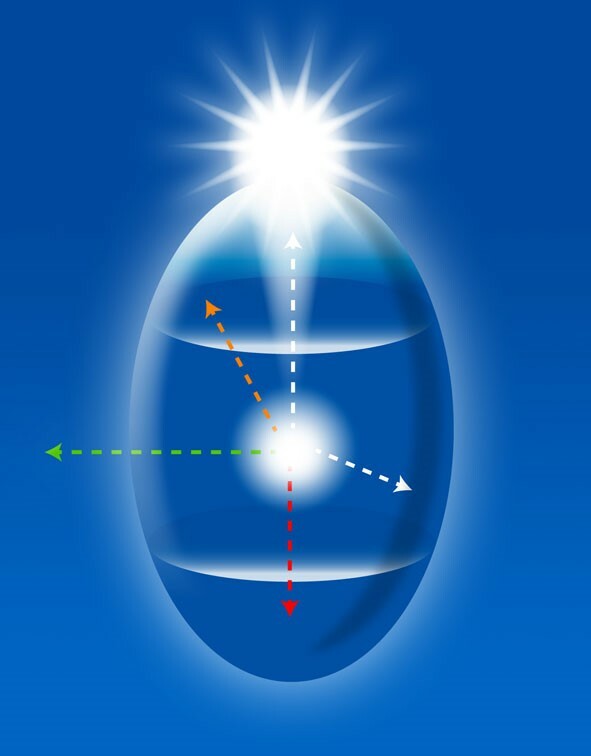 An analogy Assagioli used (Undated 2) to describe this is the relationship between the sun and its reflection in a mirror. The sunlight in the mirror has the same qualities as its source; it lights and heats. Yet, if we see only the reflection and not the source, we might think that the mirror itself creates its light. The same applies to the moon: it only reflects the light from the sun. This is also the case with the self if we forget its link to the soul. Here meditation can lead us to the source. The soul’s energies penetrate the entire Egg. 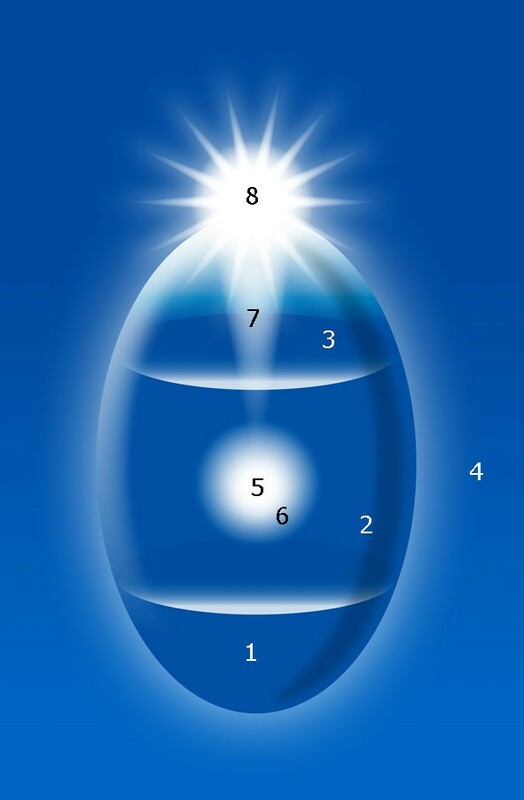 Children frequently experience Superconscious energies, but this doesn’t mean that the soul is located at the bottom of the Egg Diagram, just as the sun is not on the ground even if its light reaches the earth. This core is the stable, unmovable witness; our inner observer which is outside time and space in the eternal present, fully awake and conscious of its cosmic nature. If the self is a 100 watt light bulb emanating from the centre of the brain, then the soul is a 1,000,000 watt bulb shining in eternity. When the little light in the brain shines with the same intensity as the light in “heaven”, we have reached enlightenment. The energies and potentialities in the Superconscious are creative forces radiating from the soul: wisdom, love, beauty and so on. (1974, p. 119) In the same way the self at the level of personality radiates thoughts, emotions and physical actions. The soul is open to Universal or Cosmic Consciousness. This is why Assagioli placed the star partly within the Egg Diagram and partly without. This tells us that the soul’s consciousness points in two directions: towards the individual and towards the Universal Self. At the level of the soul, the soul is an expression of unified consciousness because it is identified with the whole, yet it also has an individual purpose. This purpose is an expression of the Transpersonal will; it is the “soul’s calling”, and represents the journey it takes, both alone and together with other souls. The soul acquires experience through its choices, and ultimately, wisdom. At the level of the soul the soul is wise and good, but when it is manifest in the body, it cannot bring these qualities to the personality before it has developed the ability to express love and wisdom at this level. Let this be the last word on the soul for now. Admittedly, these perspectives are not easy to communicate or understand; basically the soul cannot be grasped by the intellect, only experienced. We will return to the soul in Chapter X and establish how we can work with the soul in practice. In the middle of the triangle I have added the self – as a point of pure self-awareness and will. Above the triangle we have the sun as a symbol of the soul. It wants to pervade the personality with its rays, that is, with the contents of the Superconscious, in order to induce a spiritual Psychosynthesis. 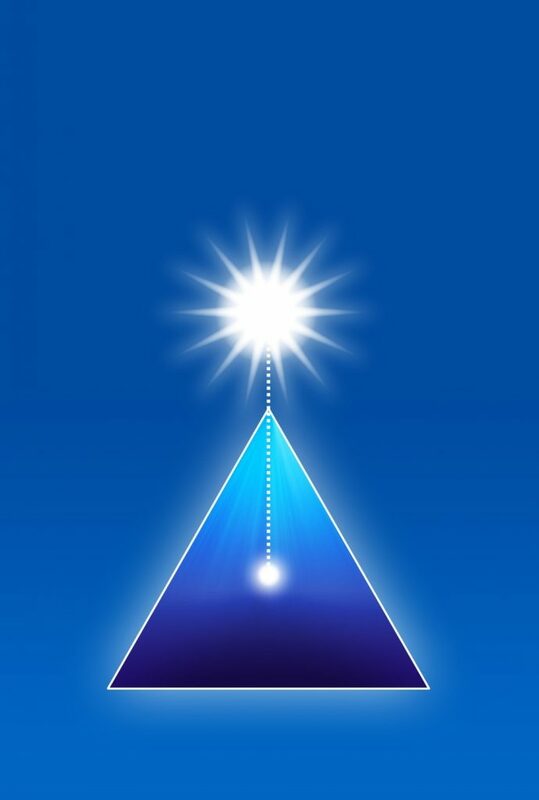 At this stage the soul and the personality are united and we can manifest Superconscious energies through the body, emotions and thoughts.In my diagram The soul’s illumination of the personality which I have created to illustrate this idea, we see the equilateral triangle representing the integrated personality. That is, the energies from the Lower and Middle Unconscious are gathered around the self. This integration is our Personal Psychosynthesis. As mentioned, the three basic aspects of personality are the body, emotions, and the mind. The dotted line between the self and the soul is the Bridge of Consciousness, which gradually develops its capacity to transmit the consciousness of the soul into the personality. Here I have combined the known elements from the Egg Diagram in order to illustrate that development is a movement from the bottom to the top assisted by the self and from the top to the bottom directed by the soul. In the next chapter we will look at how the personality becomes permeable to Superconscious energies, which is part of the journey of self-development. In order to illustrate the personal self’s journey from self to soul consciousness, we must immerse ourselves in Psychosynthesis’ theory of development. Roberto Assagioli, ’Psychosynthesis – a collection of Basic Writings’. Turnstone Press, 1975. In the next chapter the Egg Diagram will be connected to Assagioli’s theory of Development and Maslow’s Hierarchy of Needs, hence the reference to age.